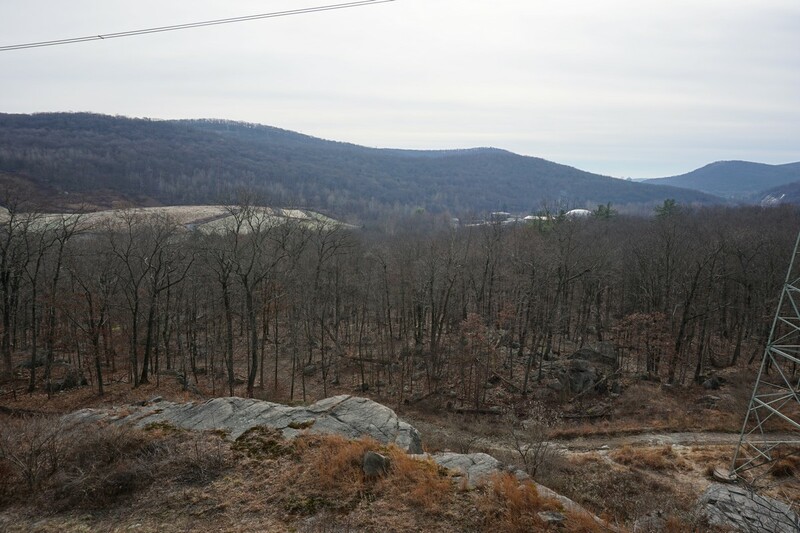 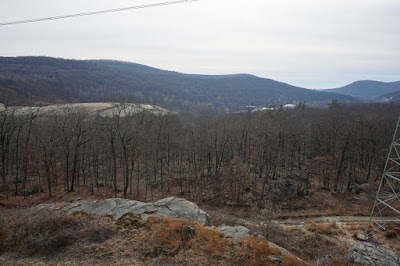 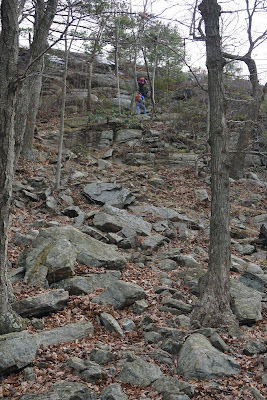 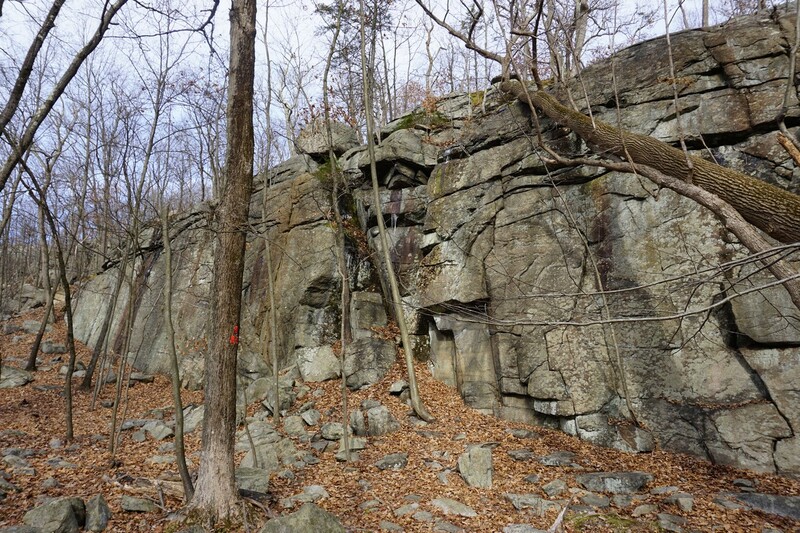 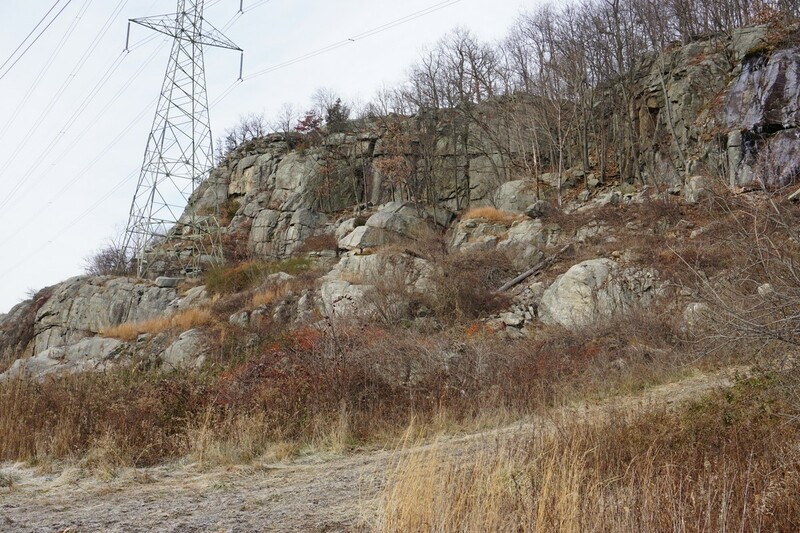 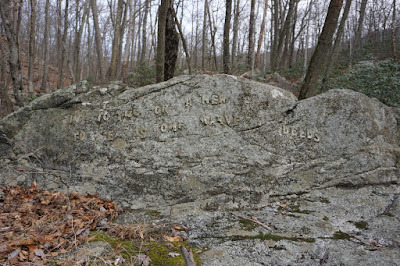 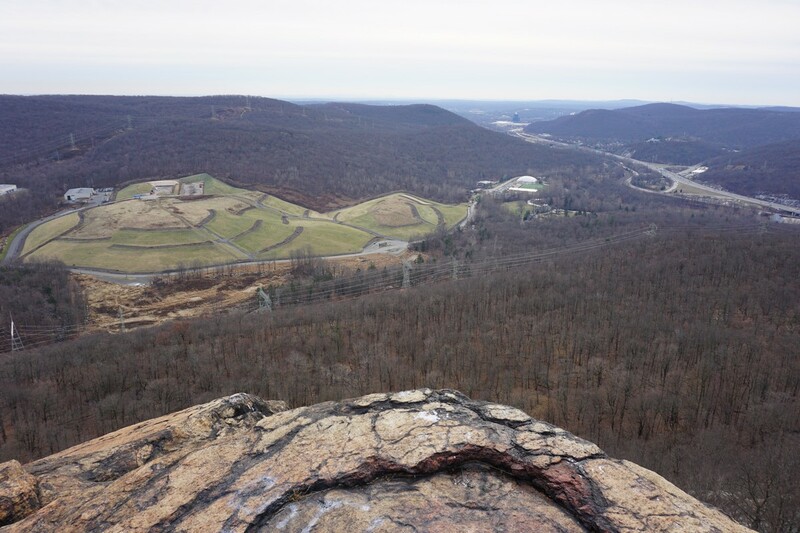 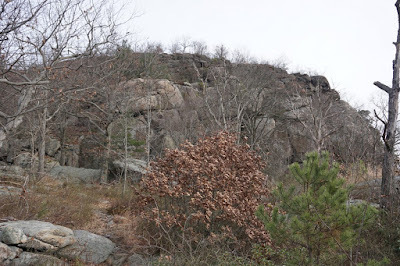 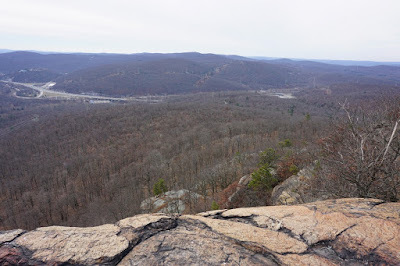 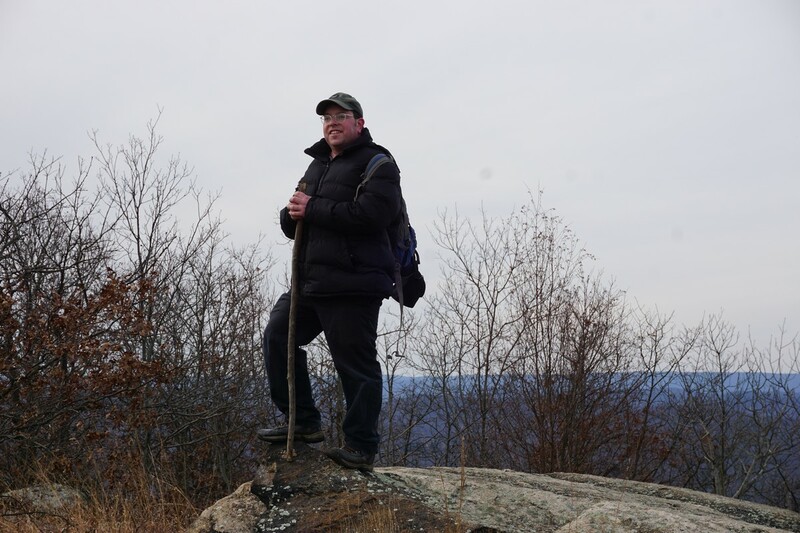 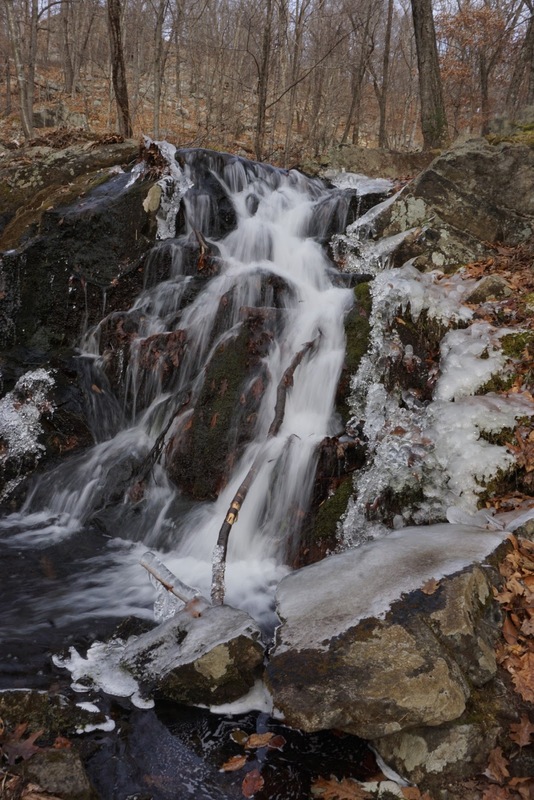 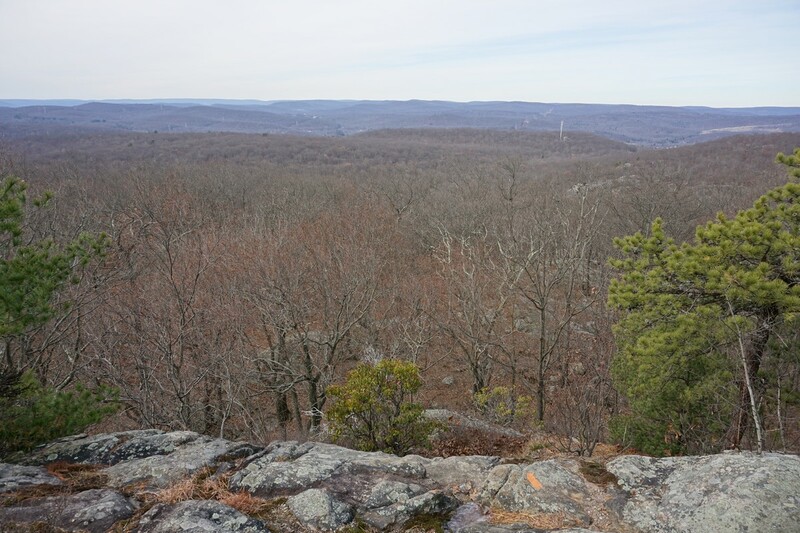 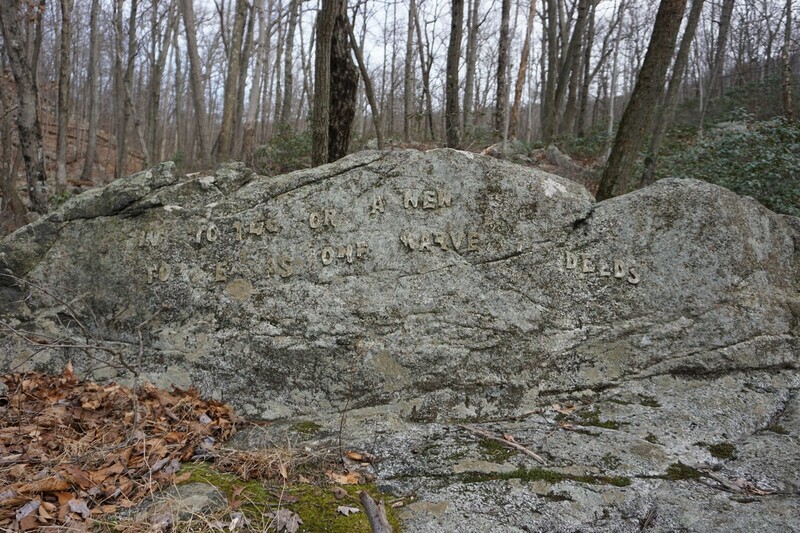 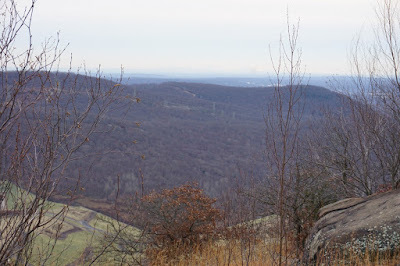 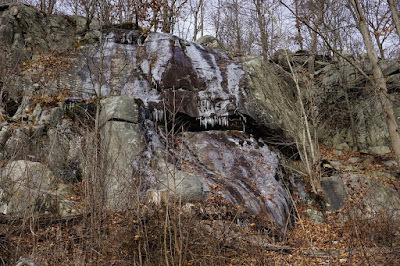 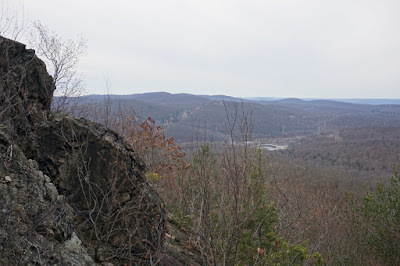 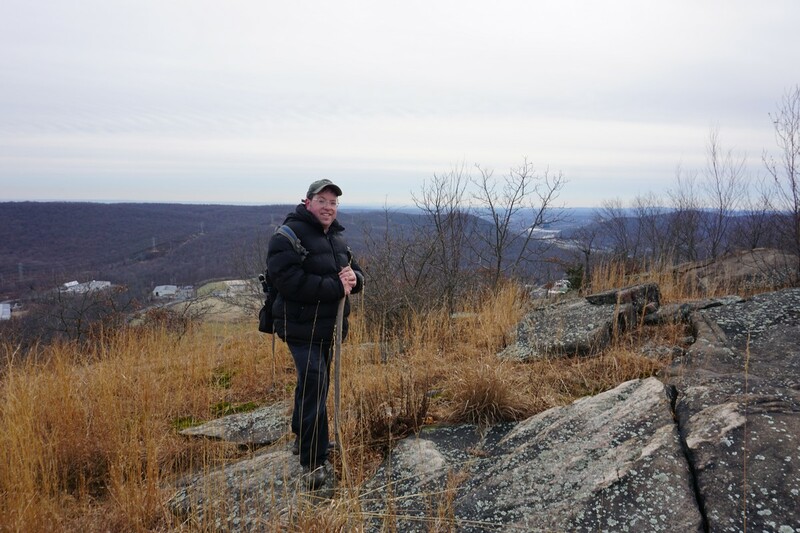 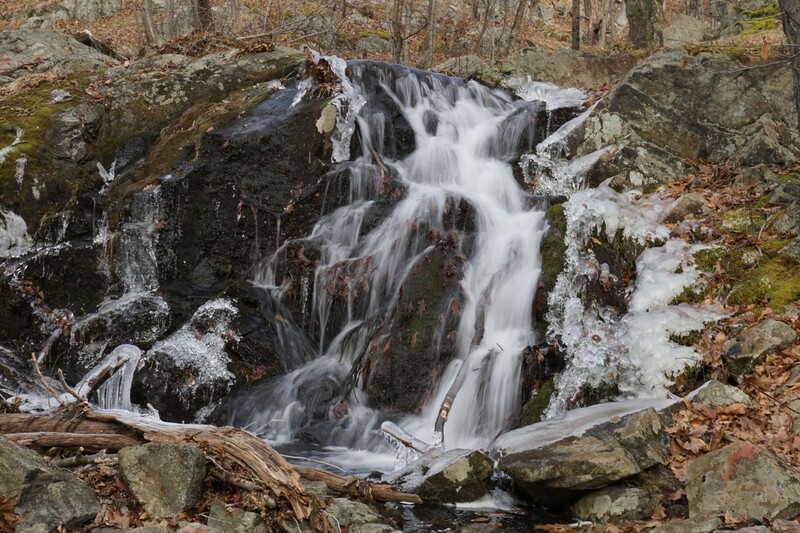 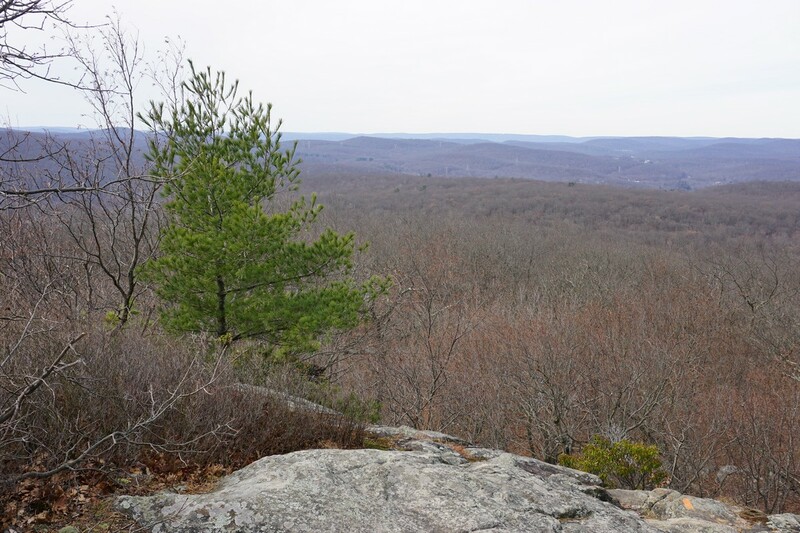 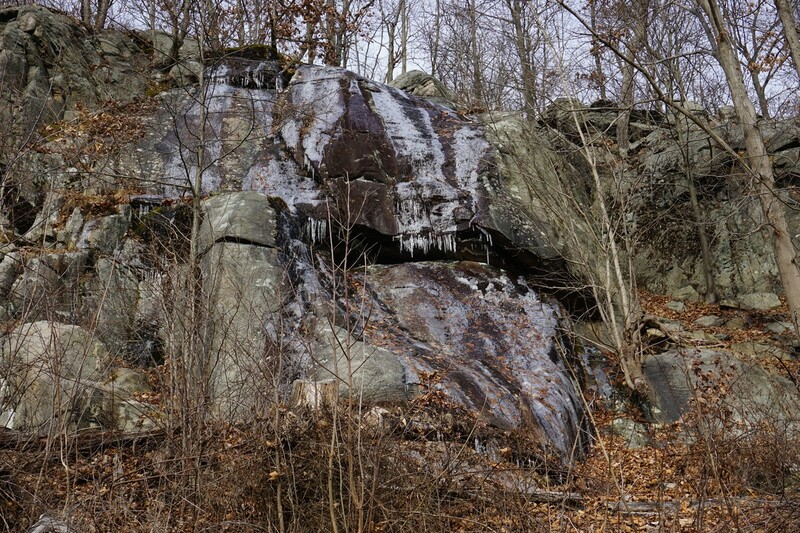 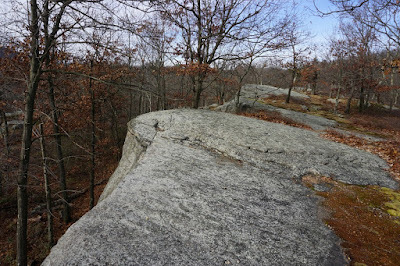 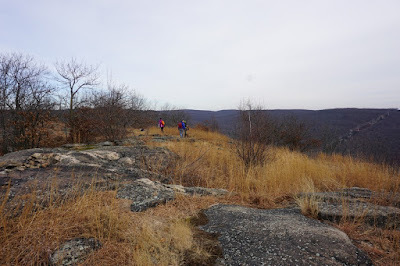 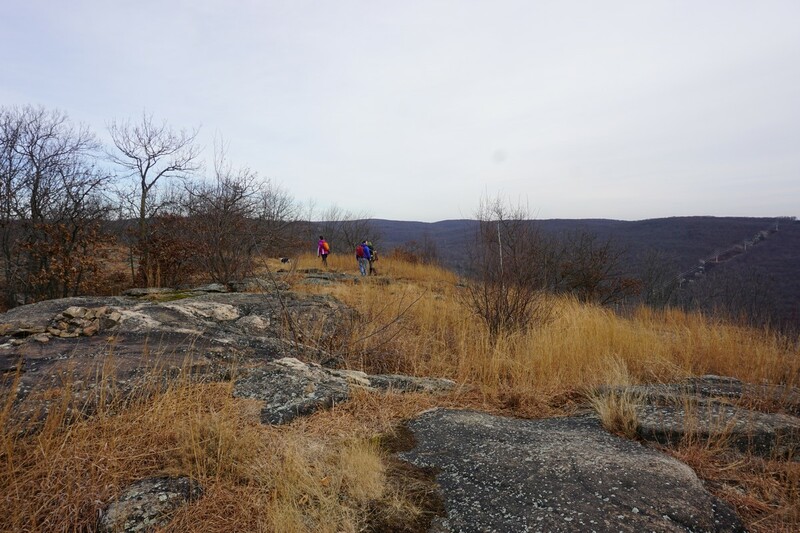 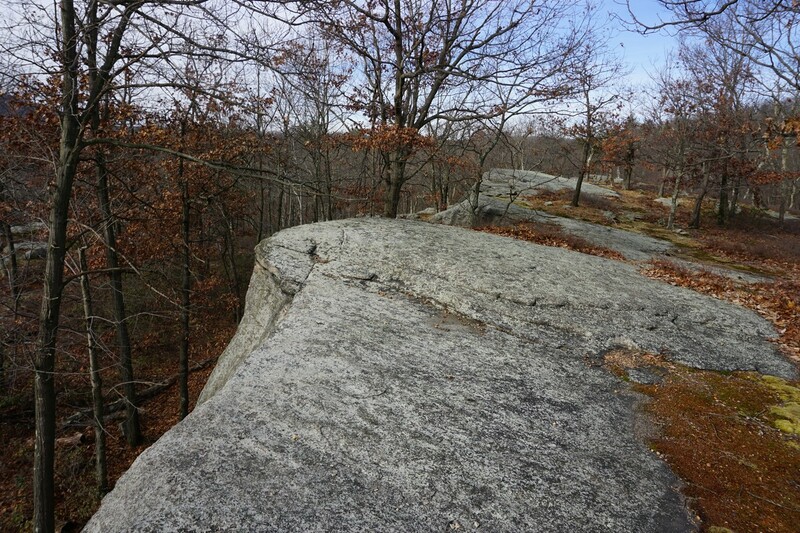 Prior to my overseas trip, I had hike in this area, taking the trails from the Powerlines rock climbing area in Harriman to Ramapo Torne. 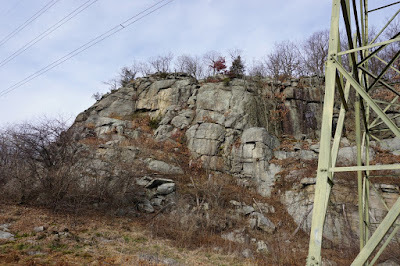 I noticed many marked trails in the area that are used as rock climbing access points, and did not have enough time to check all of them out. 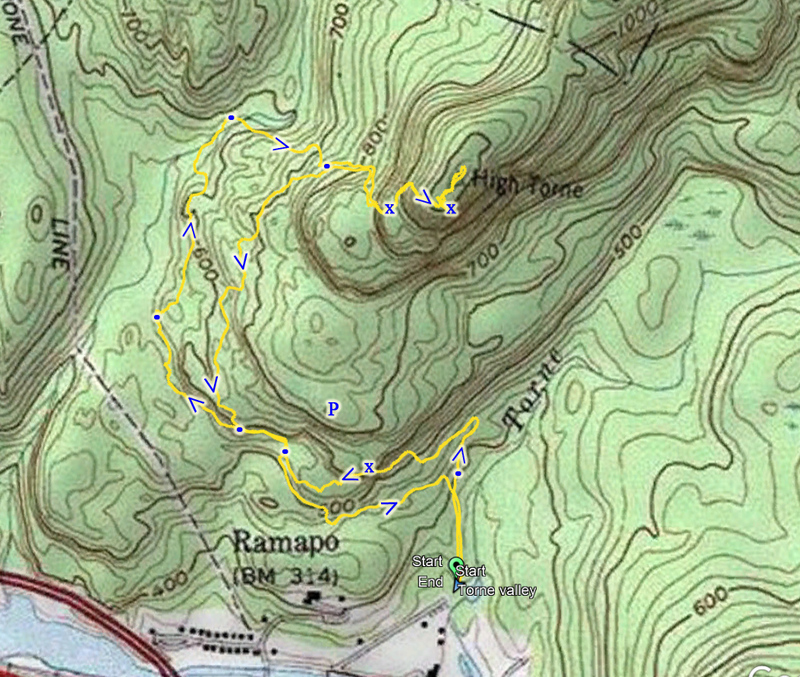 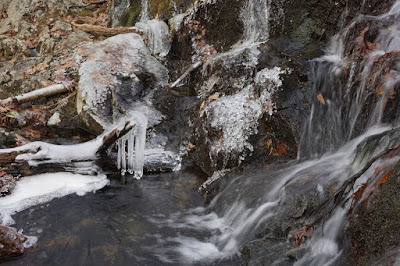 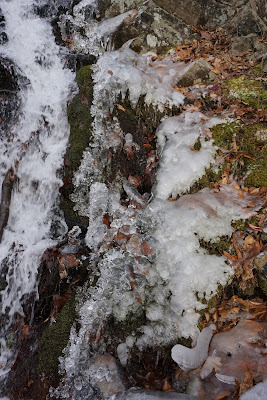 I also wanted to cut across to Ramapo Torne from the brook, a bit further out than the last time. 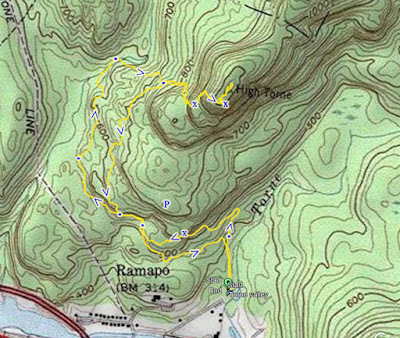 I then turned around and went back down the scramble part on the HTS Trail, and cut across what is known as the Whightman Plateau (the flatter area above the Powerlines climbing area), and then met up with the Red Trail, which I took to the Blue Trail, back to the White Trail, and then back to my car.